Two scientists shaky relationship is thrust into the spotlight during their mission to Mars. En route to Mars, scientists Spencer and Spacey fall in love and are dubbed “Spacey,” but after a much-publicized Martian wedding and frenzied media attention, the survival of both their mission and their relationship come into question. Kate Gleason is an MFA directing student at the UCLA School of Theater, Film, and Television. 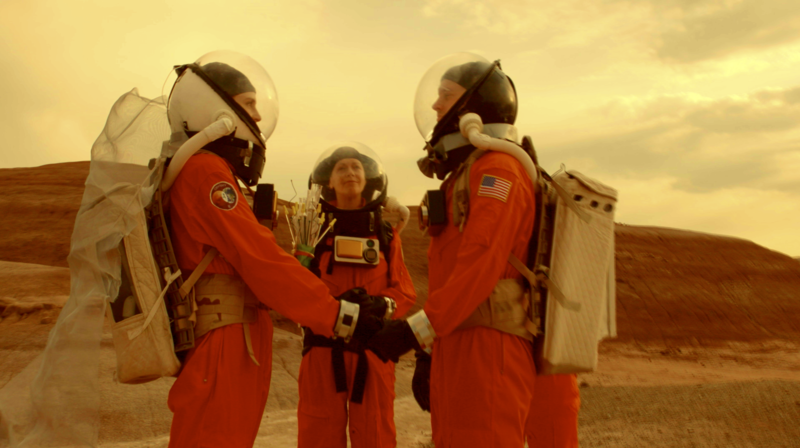 Gleason is now in post on her thesis film, Spacey, which won the Sloan Foundation Production Grant, about the shaky relationship of two scientists thrust into the spotlight, set against the stark backdrop of Mars.